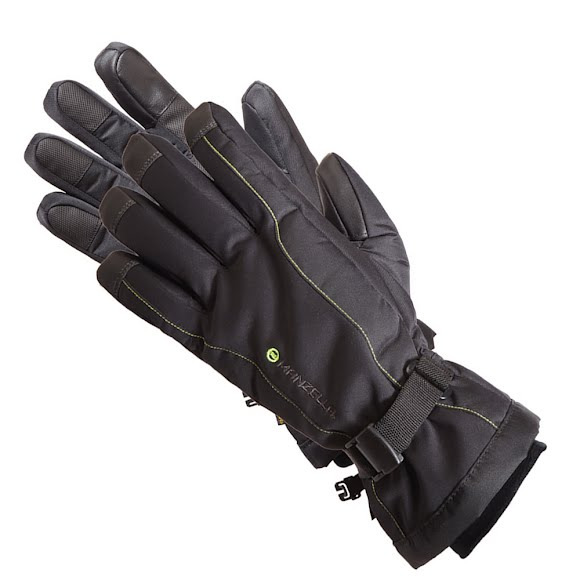 Ski in comfort and warmth with help from the Fahrenheit 5 Touchtip™ Glove from Manzella. This extremely warm winter glove features DWR softshell that sheds cold and wet weather as well as having TouchTip™ index finger and thumb for touch screen compatability. Ski in comfort and warmth with help from the Fahrenheit 5 Touchtip™ Glove from Manzella . This extremely warm winter glove features DWR softshell that sheds cold and wet weather as well as having TouchTip™ index finger and thumb for touch screen compatability. HydroBlok® technology creates a waterproof breathable membrane that allows vapor from perspiration to escape yet keeps water out, so your hands stay drier and warmer through varied conditions and activities. Material sewn into the glove or built into a glove that provides touch screen compatibility for an electronic device.